Once children are able to identify numbers and are counting numbers in preschool and kindergarten we can focus in on different way to represent the same number. 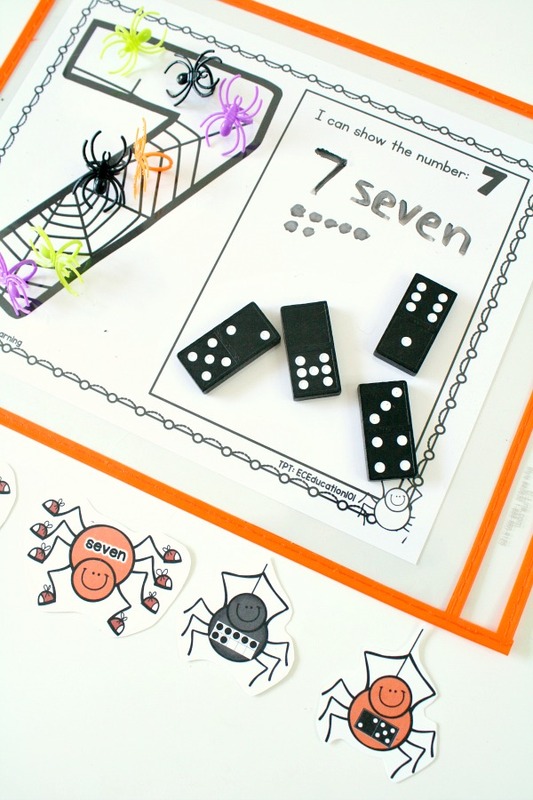 Doing so will help strengthen number sense skills. Initially we can show how to represent a number with numerals, in word form, on fingers, and with sets of objects. Then we can also show different ways to compose a number. 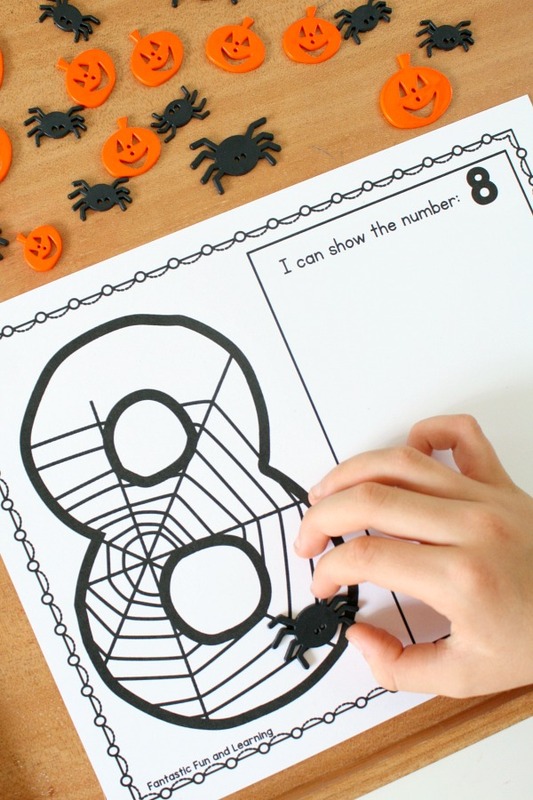 Of course, we want to make this as hands-on and interactive as possible, and these Spider Counting Numbers Printable Mats are a fun way to do just that. 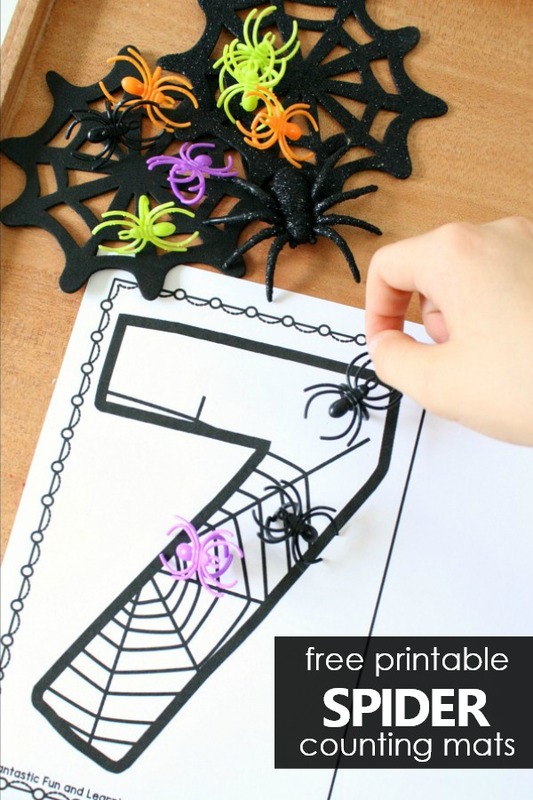 Use them for your Halloween theme or spider theme activities. 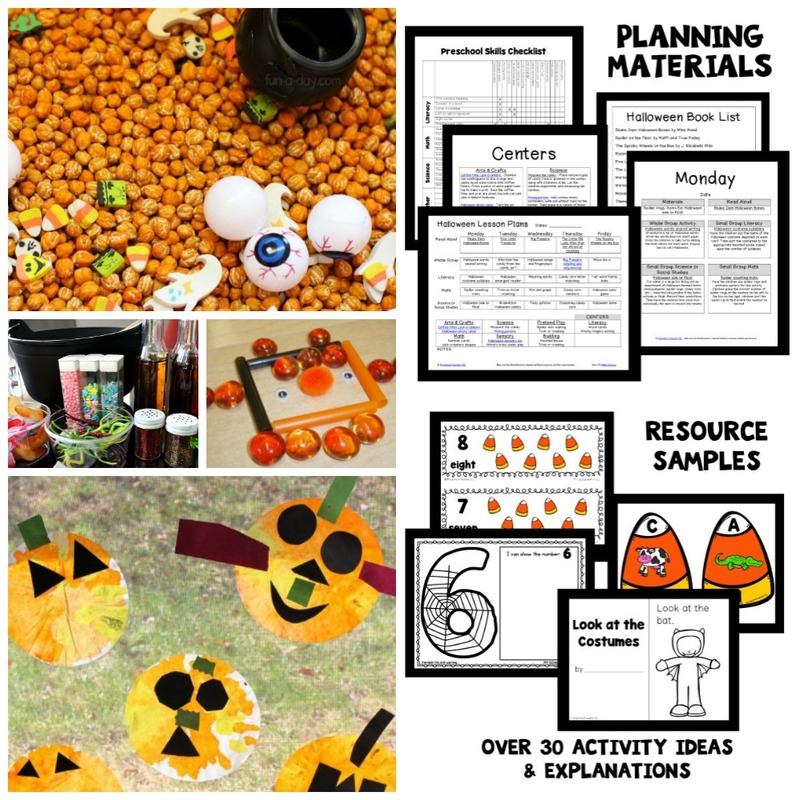 When possible I love for any printable I use to have the potential to be used in many different ways so kids can have multiple experiences with them, and I can save planning time. 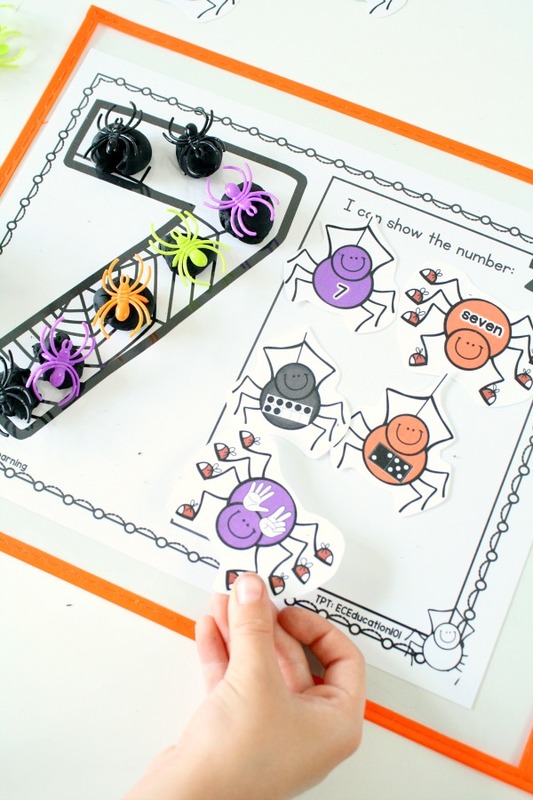 These spider number games give you a ton of options! First you’ll want to decide what manipulatives you’d like to use. Any spider toys will work! 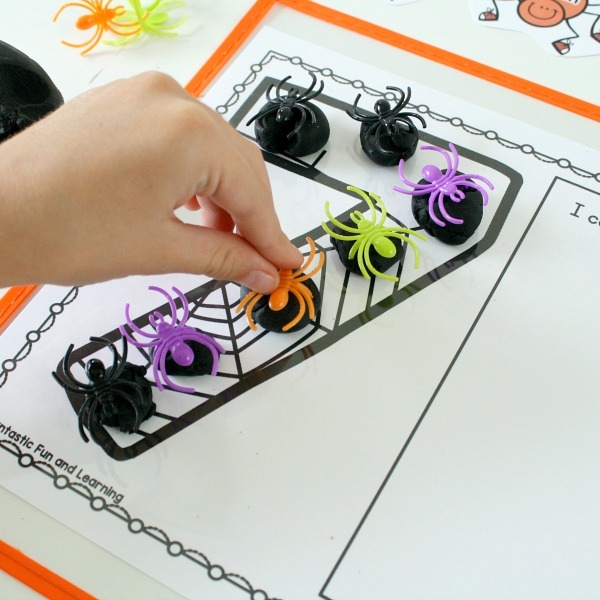 Try spider rings, spider buttons, spider mini erasers, or make your own pom pom spiders (just skip the ring part in the tutorial). 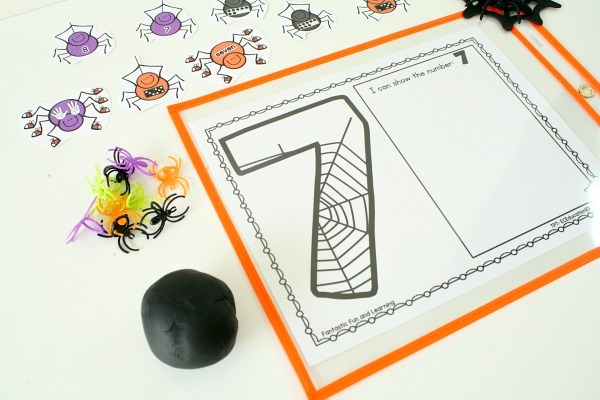 Kids can practice counting out sets to match the number on the counting mat. 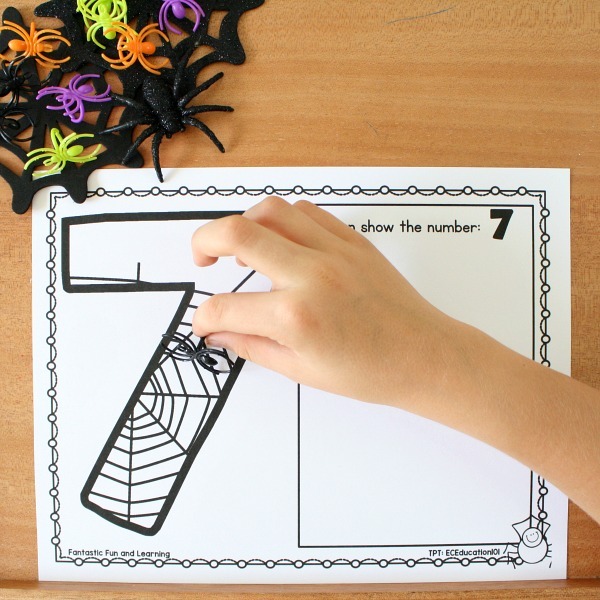 The free printable includes mats for numbers zero through ten. 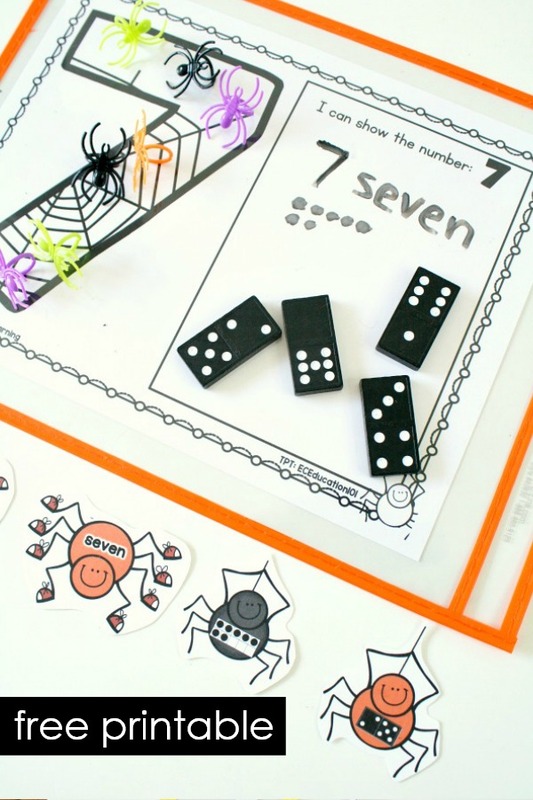 Use them all and spread out across the table or floor, or limit them to a specific set of numbers to help kids hone in on those numbers in particular. 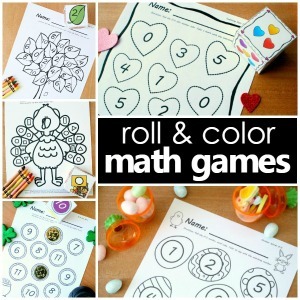 Want to add in even more fine motor practice? 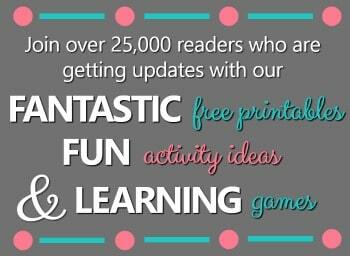 Grab some play dough! Here we added play dough balls to match the number and then pressed spiders into the balls (adding another opportunity for fine motor work). 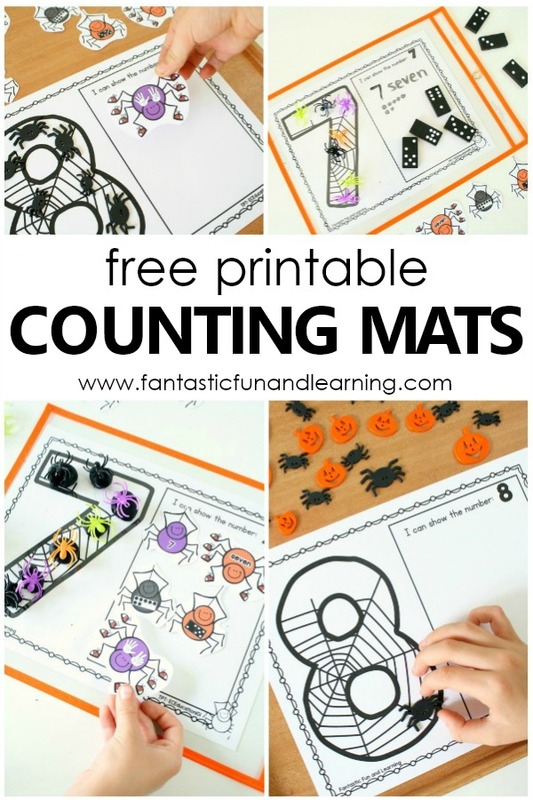 The counting mats also include printable spiders with different ways to show each number. 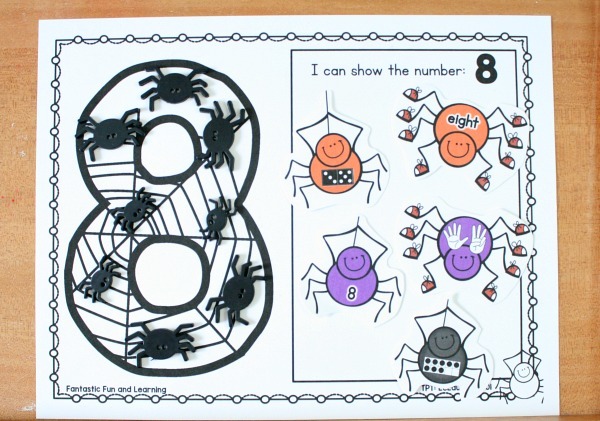 There are five different spiders for each counting mat. Use them all, or start with two or three of them. Then add in additional options as kids are ready for them. 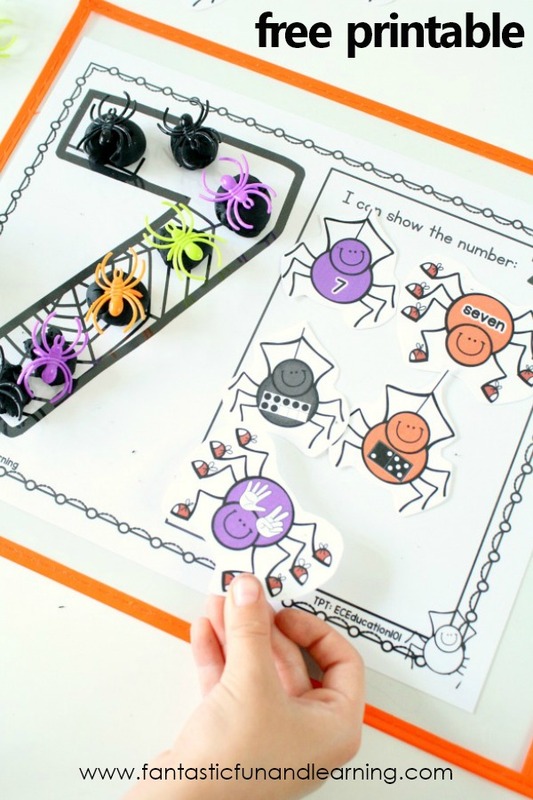 As kids develop skill in identifying the different ways to show each number you can extend the counting games by having kids use each spider as a cue card. 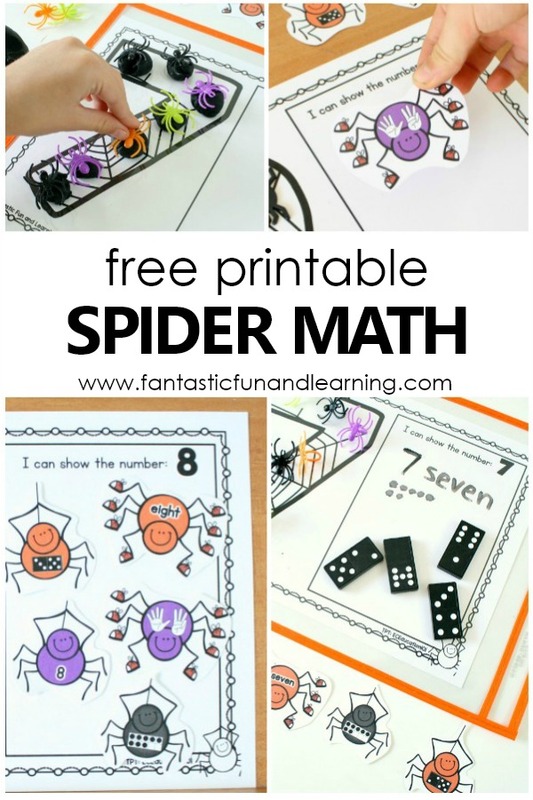 As you can see there are a lot of possibilities with these free Spider Counting Numbers Printable Mats! Click the link below to get your set.